The pulmonary vasculature is of great physiological/pathological significance. Human Lung Microvascular Endothelial Cells (HLMVEC) play an important role in regulating lung function. HLMVEC provide a useful tool for studying various aspects of pathology and biology of the pulmonary microvasculature in vitro . iXCells Biotechnologies provides high quality HLMVEC, which are isolated from human lung tissue from a single donor and cryopreserved at P2, with >0.5 million cells in each vial. HLMVEC express vWF/Factor VIII and CD31 (PECAM). They are negative for HIV-1, HBV, HCV, mycoplasma, bacteria, yeast, and fungi and can further expand in Endothelial Cell Growth Medium (Cat# MD-0010) under the condition suggested by iXCells Biotechnologies. Figure 1. 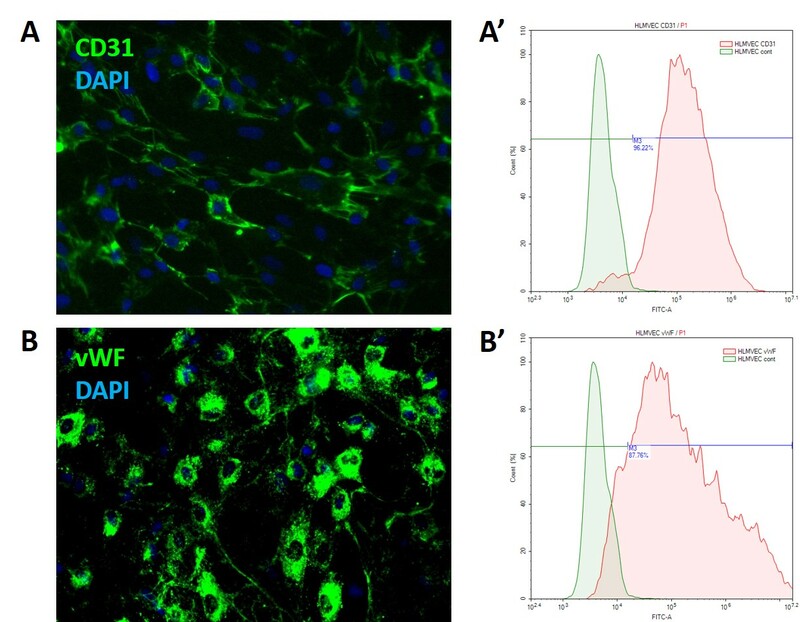 HLMVECs provided by iXCells are positive for CD31 (A) and vWF (B), as shown by immunostaining. Flow analysis showed that more than 96% of cells are CD31 positive (A'), and more than 87% are vWF positive (B'). Pacurari M, Qian Y, Fu W, Schwegler-Berry D, Ding M, Castranova V and Guo NL. Cell permeability, migration, and reactive oxygen species induced by multiwalled carbon nanotubes in human microvascular endothelial cells. J Toxicol Environ Health A. 2012; 75(3): 129-147. This product is intended for laboratory research purposes only. It is not intended for use in humans. While iXCells Biotechnologies uses reasonable efforts to include accurate and up-to-date information on this product sheet, we makes no warranties or representations as to its accuracy. 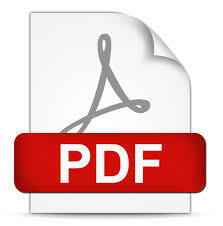 Citations from scientific literature and patents are provided for informational purposes only. iXCells Biotechnologies does not warrant that such information has been confirmed to be accurate. This product is sent with the condition that you are responsible for its safe storage, handling, and use. iXCells Biotechnologies is not liable for any damages or injuries arising from receipt and/or use of this product. While reasonable effort is made to insure authenticity and reliability of strains on deposit, iXCells Biotechnologies is not liable for damages arising from the misidentification or misrepresentation of cultures. © iXCells Biotechnologies 2015. All rights reserved. iXCells Biotechnologies © 2019 All Rights Reserved.